Victoria Hart grew up a wanderer as her mother could not stay in any one place for very long. When Tori managed to stay in a residence for more than a cup of milk, she was with a foster family. She relishes settling at one address in Hope, Ohio where she runs an antique shop. Widower Captain Reese Taren arrives in Hope seeking the Heart of Destiny, an artifact he does not believe exists but his Emperor sent him to find it to save what is left of his world from alien invaders. He kidnaps Tori who Reese thinks is the key to destroying the feral enemy he loathes for killing his wife, child and others. However, he never expected her to be his Heart of Destiny, but knows what must happen to his beloved to save a world and perhaps a universe. 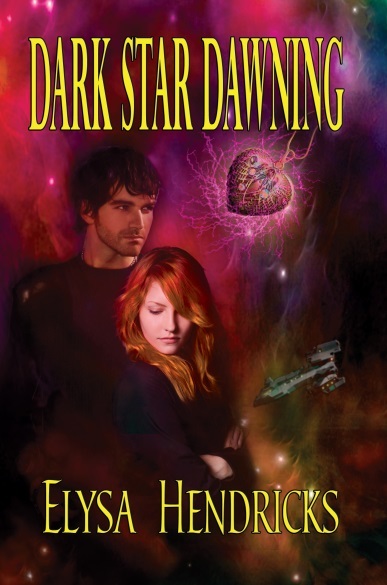 Dark Star Dawning is an entertaining science fiction romance starring a heroic male and a bewildered female feeling out of her element within a worlds collide setting. Fast-paced, readers will enjoy the dilemma the lead couple confronts as the risk for Tori is almost certain death, but doing nothing means billions die. Although the plot contains several inconsistencies, Elysa Hendricks provides an engaging sci fi love story.